When Duncan MacDonald first moved onto Hazel Street in 1950 with his family, the homes were specifically designed for war veterans like himself. After 62 years in Waterloo, MacDonald made his mark as a local icon with the perpetual garage sales he held outside of his house. He passed away over the 2012 holidays. Before living with his wife and two children in Waterloo, MacDonald fought in World War II. He was in Germany when the Allied forces found the Auschwitz concentration camp in Poland. MacDonald, who was the youngest of twelve children, was colour blind so he was not allowed to fly. He became a fitness instructor and eventually met his wife in England. She came back to Canada with him. Scott MacDonald, Duncan MacDonald’s nephew, recounted his uncle’s history in the war and when the famous garage sales made its way to his house in Waterloo. MacDonald also explained the origins of the plethora of golf balls that were frequently sold at these garage sales. The younger MacDonald shared that when all of the outgoing students would vacate their houses for the summer, they would put all their old furniture at the curb. The elder MacDonald would collect them and bring them back to his home. He would then sell the furniture to the new students moving in. MacDonald had also started collecting all of the beer bottles around the Waterloo area. He used the empty bottles to buy Sick Kids Hospital lottery tickets. During this time, MacDonald formed a companionship with the students who helped to contribute to his collections. MacDonald, whose health had been on the decline in recent years, had a blockage in his bowels and he passed away on Christmas Day at the age of 91. The news of his death came as a great loss to those who knew him and his community-oriented garage sales. 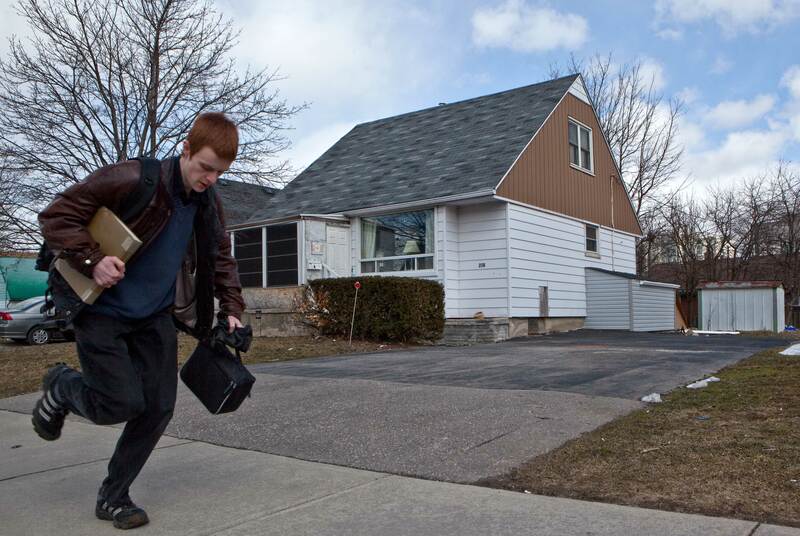 Though no plans have been set in motion for the time being, MacDonald’s family had been thinking of turning his old house into student housing. This would be considered in part because students lived in and out of it and had spent many years with him. Scott remembers his uncle as a “cantankerous” man who spoke his mind and enjoyed fishing, travelling and being active. The mark he left on the Waterloo community and its students will never be forgotten. Duncan MacDonald and his garage sales will be missed and remembered.